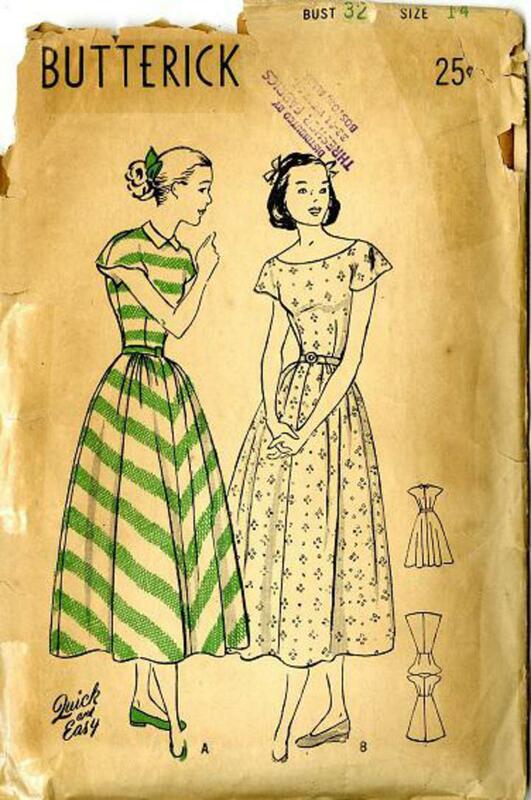 1947 Butterick #4563 vintage sewing pattern, junior misses' dress, flared four-gore skirt, size 14. 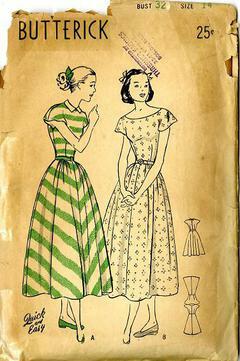 Casual one-piecer has a contrasting collar, brief sleeves cut in one with the bodice and a flared four-gore skirt. B. This version can be casual or dress-up depending on the fabric, it has a lovely scooped neckline. Unprinted tissue pattern.